This is a fascinating study, and one that I have conflicting thoughts about. On the one hand, they’re studying the brain’s natural proclivity to suppress unpleasant memories as a means to understanding why that function seems reduced in situations of post-traumatic stress, where unpleasant memories seem more likely to regularly percolate up into conscious awareness rather than being naturally suppressed over time. And that’s a good thing, understanding the differences in a PTSD mind. The natural course of a study such as this, though, may be developing a technique – or, worse, a pharmaceutical product – for enabling PTSD sufferers to also suppress their traumatic memories under the misguided notion that this is more of the “natural” state. From an energy psychology perspective, this can be dangerous. Forcing the brain – through whatever mechanism – to suppress traumatic emotions is simply stuffing it further down into the subconscious, and keeping it trapped in the energy body. Those traumatic emotions still have energy. A lot more than non-traumatic emotions. That is partly why they continually resurface in conscious awareness, because the energy of those emotions is trying to go somewhere. It’s like a warning light, or a siren, sent up to the conscious mind that there is a severe energetic imbalance being caused by those emotional memories, and that that imbalance needs to be addressed, not suppressed. While it may be appropriate to aid a PTSD sufferer with such a memory-suppressing cognitive therapy – or even pharmaceutical intervention – in order to restore their day-to-day life to balance, it is my opinion that it is not safe to do so in abstraction from releasing the energy of that traumatic stress. Though it’s interesting to study the brain’s natural mechanism for suppressing difficult memories, some of them continually re-surface for a reason that is equally a part of the human being’s natural functioning. New research shows that, contrary to what was previously assumed, suppressing unwanted memories reduces their influence on behaviour, and sheds light on how this process happens in the brain. 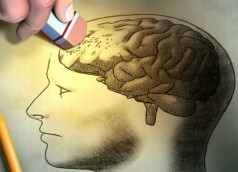 The study, part-funded by the Medical Research Council (MRC) and published online in PNAS, challenges the idea that suppressed memories remain fully preserved in the brain’s unconscious, allowing them to be inadvertently expressed in someone’s behaviour. The results of the study suggest instead that the act of suppressing intrusive memories helps to disrupt traces of the memories in the parts of the brain responsible for sensory processing. The team at the MRC Cognition and Brain Sciences Unit and the University of Cambridge’s Behavioural and Clinical Neuroscience Institute (BCNI) have examined how suppression affects a memory’s unconscious influences in an experiment that focused on suppression of visual memories, as intrusive unwanted memories are often visual in nature. Intuitive Being’s subconscious communication techniques can be a very effective method of clearing the energy of traumatic emotions. They consciously acknowledge the experience that created the energetic imbalance in the first place, then release the emotional energy related to that experience, thus lifting the weight of it from your being.